How do you think Harry Pope Lapped his barrels since they had gain twist. You've asked a most interesting question. I guess one could use either a very short lap, or, a long lap that was cast fairly cold, so as to be loose in the bore. But neither one of the above methods, at least as far as my lapping experience has taught me, will lap a bore properly. So I really don't know how one would "properly" lap a gain twist bore. By the way you're correct, as this new book on Pope, that Rembrandt gave me, does say that Pope did cut gain twist rifling. 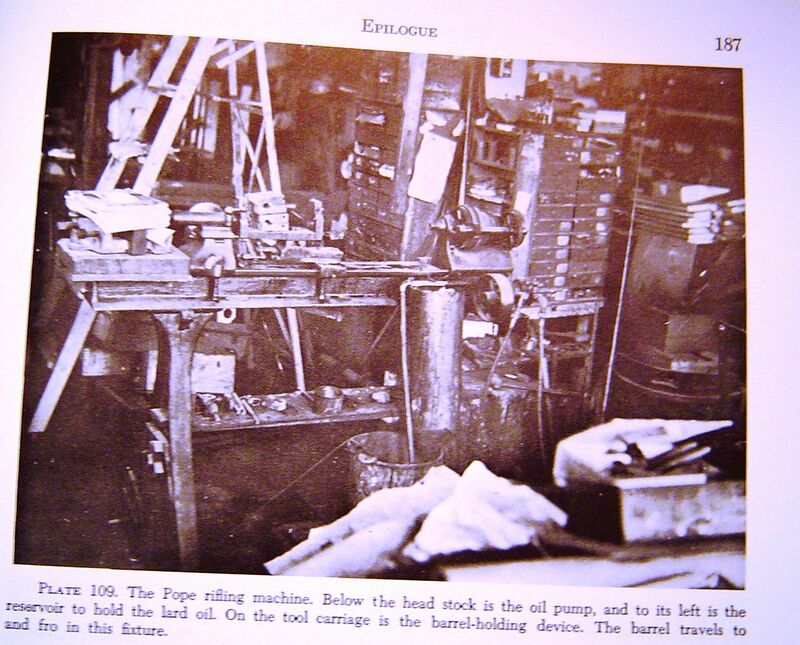 Back in those days, I wonder how someone like Pope went about producing the rifling guide to produce a gain in the twist rate, and, how they went about varying the rate of gain so they could spearment to find the proper amount of "gain" so as to produce the best accuracy? Last edited by Bill Calfee; 4 Weeks Ago at 06:41 AM. If Harry Pope had a curved guide bar on a sine bar rifling machine I think that would do the trick. And if the curve is a progressive curve then you could start at different positions along it for different gain rates. According to the book, Pope rifled by hand, this so he could "feel" if the cutter hung up, even slightly. Also notice that he used hog fat as a cutting fluid. If this is correct, it makes it even more difficult as to how he adjusted the rate of "gain". Last edited by Bill Calfee; 4 Weeks Ago at 02:12 PM.